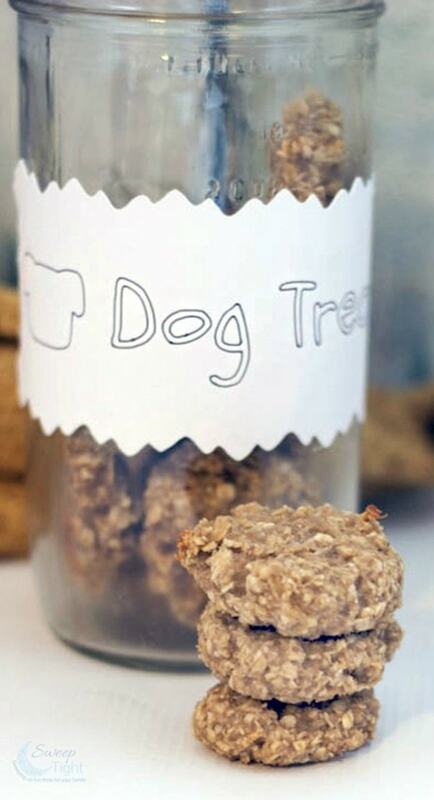 I have always wanted to make homemade dog treats for our guys. Using simple ingredients, it’s easier than you might think to create tasty DIY dog treats in minutes. There’s a great peace of mind that comes along with knowing exactly what you are feeding your dogs. 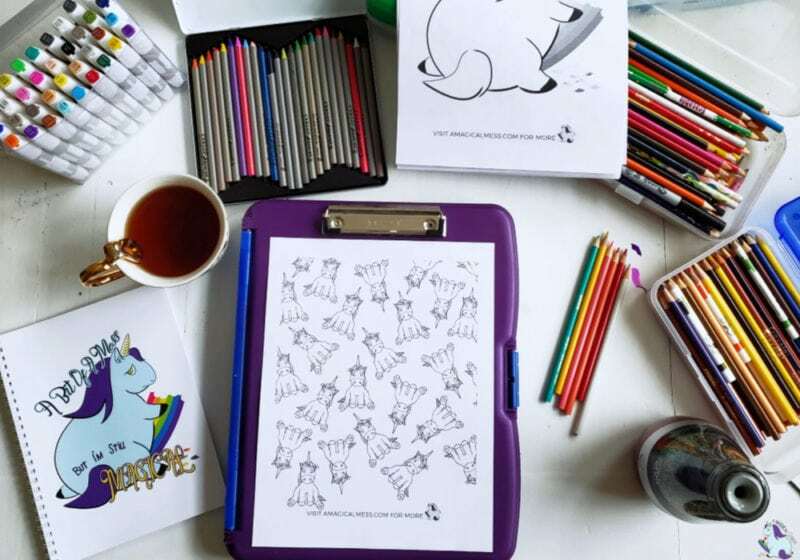 This post contains affiliate links, but all opinions are my own. While visiting one of my favorite blogs, DogVills.com, I came across their hypoallergenic dog treat recipe and knew I had to try something like it. We happened to have two extremely ripe bananas that needed to be dealt with, so it was the perfect timing. I modified their recipe, and I am sure it’s no longer hypoallergenic. So, if you are concerned with allergies, follow their original recipe using the link above. Mash overripe banana in a bowl. 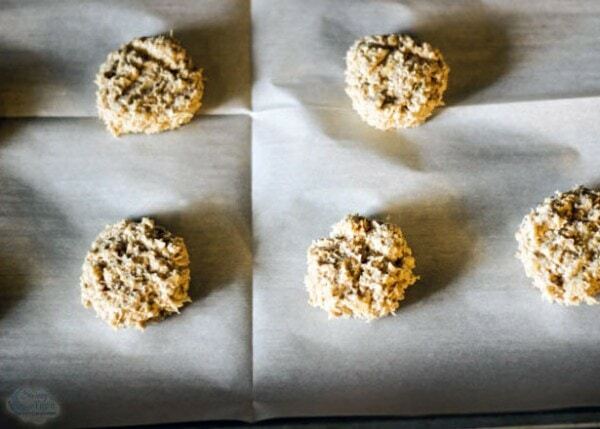 Roll mixture into 1″ balls and place on your cookie sheet. Using a fork, flatten them just a tiny bit. 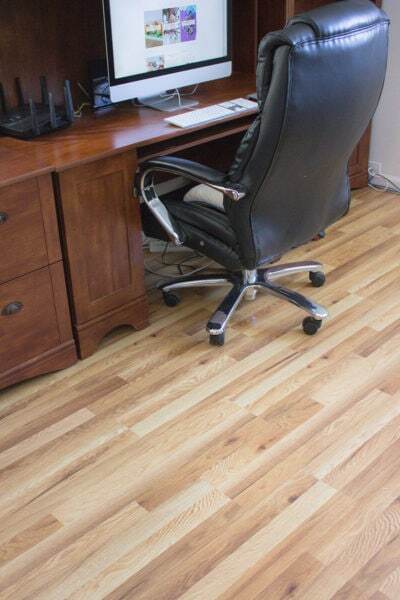 Let cool completely before treating your dogs! 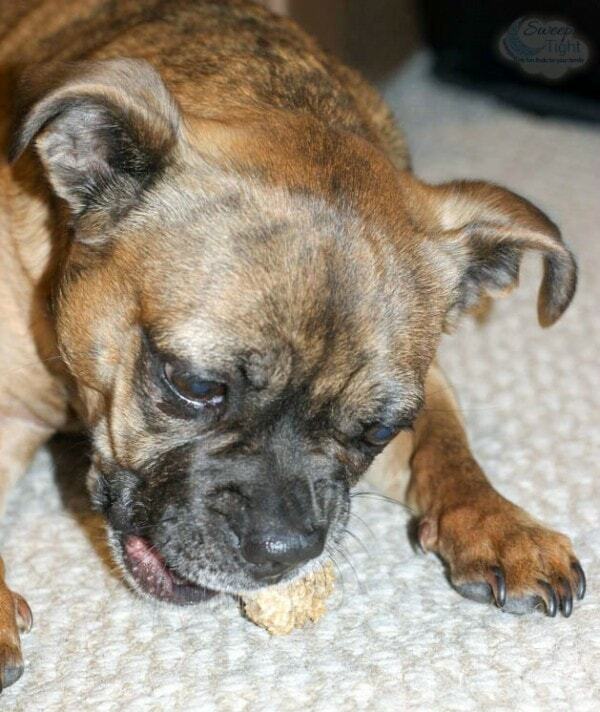 There’s something about making your own homemade dog treats that is extra rewarding for all. Mine seemed to know that I was making treats for them. They were extra excited when the oven timer dinged. While the treats were cooling, I made a label for a mason jar using my Cricut. These treats look like cookies, so I wanted it to be clear that they are for the dogs. Bamboo Bowl pictured, which I received for review purposes. 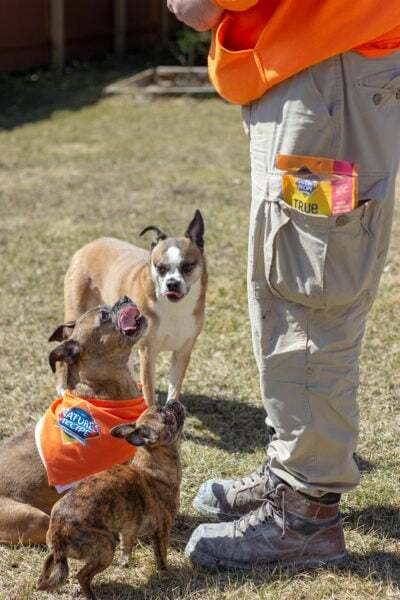 Once it was time to reward the pups, they gobbled them right up. I got loads of thank you kisses afterward, and I swear they knew that I baked the treats just for them. The rest I stored in an airtight container. I will make sure to use them within the week. When it’s hot outside, make this frozen dog treats recipe. No time to make your own dog treats? No worries. Spoil your fur buds with a monthly Pet Gift Box. 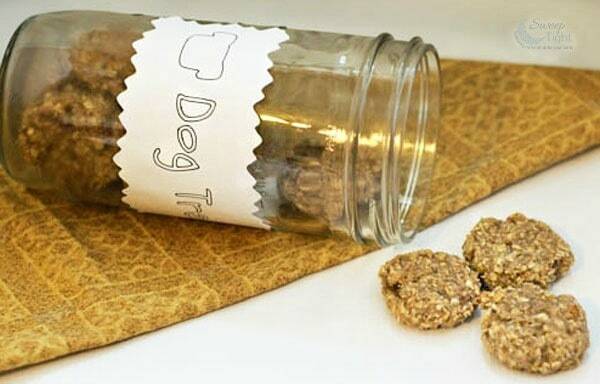 Have you ever made homemade dog treats? Do you have a favorite recipe? I have never made my dog homemade dog treats, but this is a very good healthy recipe that I want to make for my doggie. 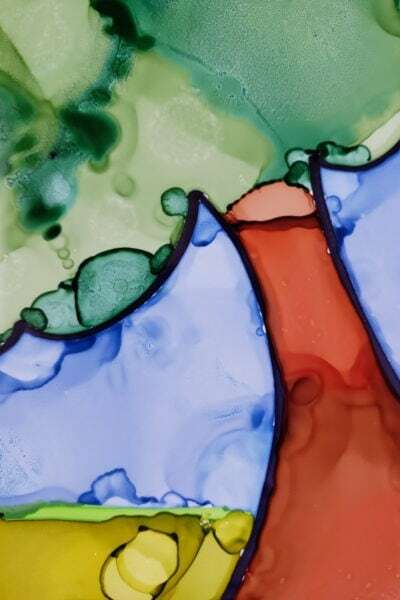 I like how easy it is to make, and thanks for sharing. No I’ve never made any. No dog right now anyway. With the good ingredients it wouldn’t matter if a people got a hold of them. I love making homemade treats for my pets, like it way more then buying the store stuff, and my pets seem to love it even more. Great pet recipe. I don’t have any pets but I think it’s always better to make your own homemade treats instead of buying them. Thank you for sharing this recipe. I have never made snacks for my dog, but these look so much healthier so Im going to pin this to make for my pup. 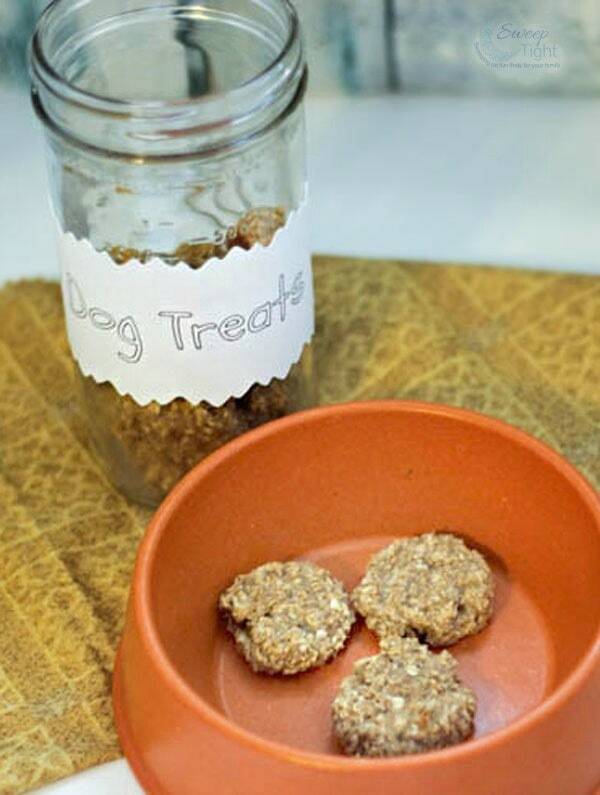 I love the idea of making your own treats for you pets. While I don’t think my cat will eat these, I do think they’d make a great gift. I love the simplicity of the ingredients too! Pinned this. 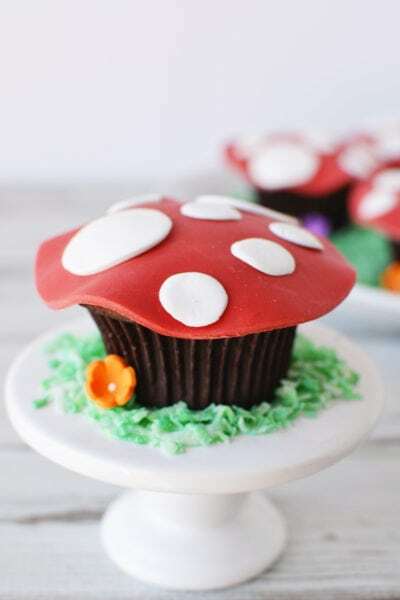 Popping in from the Creativity Unleashed Link Party. These sound great. I’m always looking for healthy treat recipes – especially ones that use oats in place of wheat or corn. These sound super easy, too, with just a few ingredients. I’ll have to pick up some bananas and try these for my dogs. 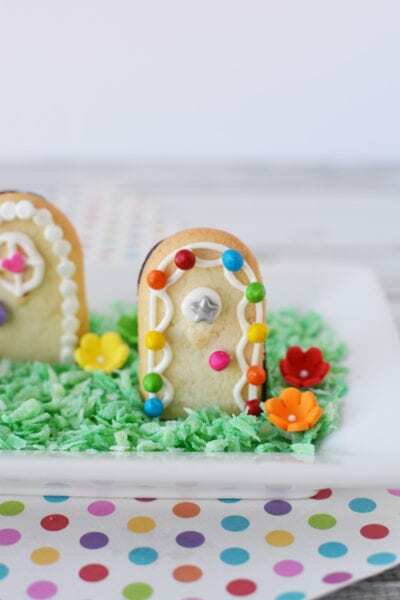 I am making these treats for the second time. My dog, Max, loves them. Since I am vegan and always eat my bananas when they are ready, I never have Greek yogurt or overripe bananas on hand. So this and the last time, I used the leftover puréed baby fod that I feed my niece on the two days a week that I care for her and I add a small amount of soy milk. Great and easy recipe, thanks!